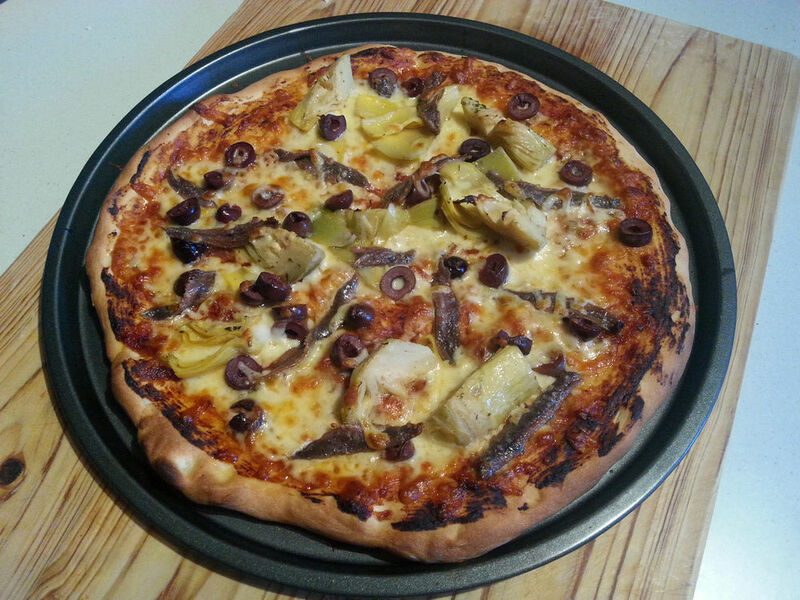 When talking about homemade pizzas, different people has various views. 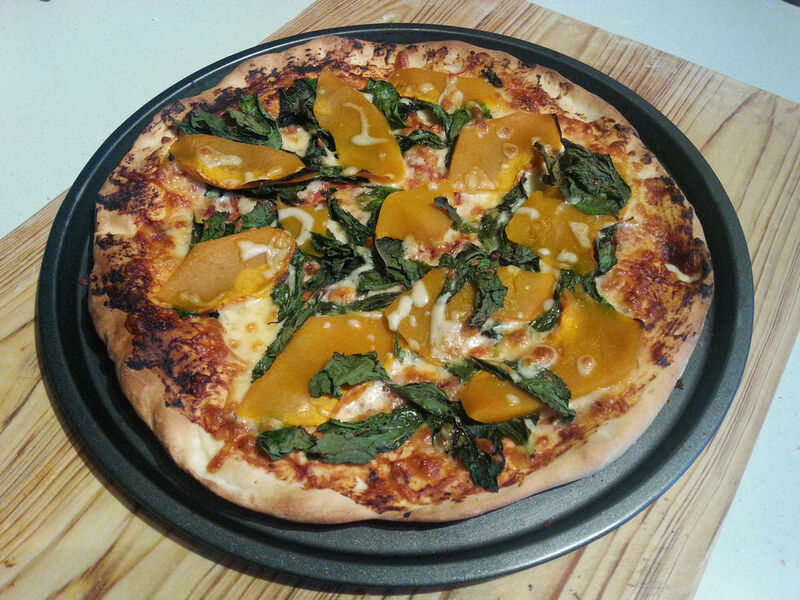 Many people rate homemade pizzas to be very ordinary, but the recipes I am putting here today will change the way you view the home version of pizza. They can get a bit gourmet and can definitely be able to cater for vegans. I am sure it’s not as good as the restaurant ones, but for a quick dinner at home, it can be the best solution and oh, most of the produce used are locally grown and sourced. 1. 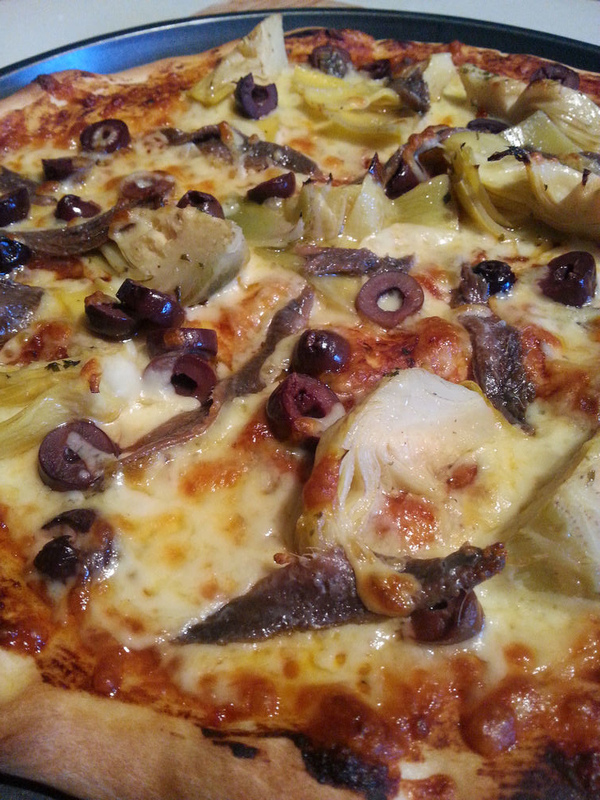 Mix everything, except the extra virgin olive oil, together and make a dough. 2. Add the olive oil to the dough. Mix well to make a smooth dough. 3. Leave the dough to rise to 1.5 times in size of the original dough. 4. 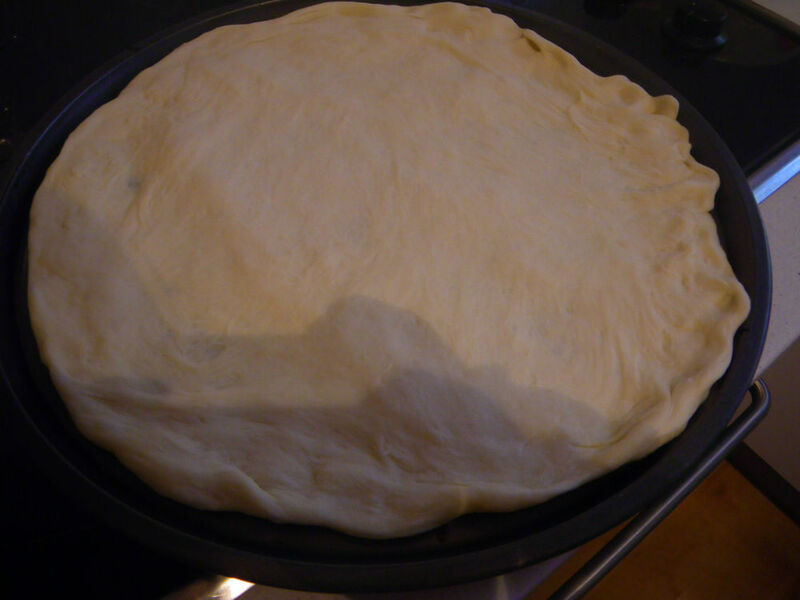 After rising, divide the dough into three equal sizes. 5. Place one piece of the dough into the center of a pizza pan and use hand to spread it evenly in thickness to the edges of the pizza pan. 1. Place the pizza pan with the dough into a pre-heated 170 oC oven for 3 minutes until the base became puffed a bit and take out. 2. Around the edge of the base, brush a layer of extra virgin olive oil. To the other parts of the base, add your pizza paste. I used a ready to use one from Leggo’s. It would be better to use homemade ones too. 3. Add the required amount of cheese (Mozzarella: Cheddar : Parmesan = 2:2:1) and place the toppings randomly. 4. Place the pan back in the oven for another 5 mins or so until the cheese is fully melted and showing a slight brown color. 5. Take the pan out of oven, slice and serve! In terms of tastes, all three pizzas were quite good. The wild mushroom one was very light and decent in flavour while the anchovies one was slightly salty but had extra flavours from the artichoke heart. 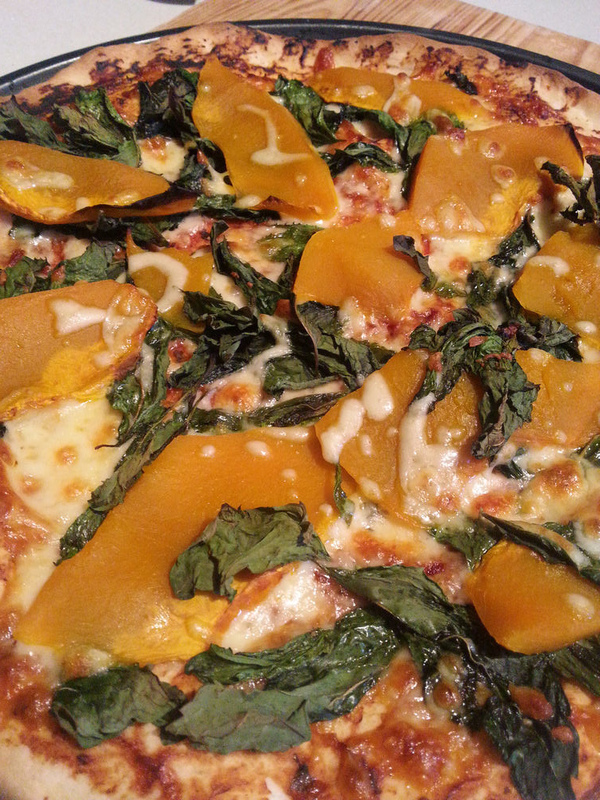 The pumpkin pizza was very sweet and the touch of mint made it very refreshing! Let’s all get cooking :D! Next coming up on Adelaide is my recipe on the ever popular Napoleon Cake. Stay tuned! G’day! Your pizza looks delicious Xin! I think it is time for you and Tina to explore the world of the Thermomix! Pizza dough in 3 minutes 30 seconds! TRUE! Really?! I guess it’s now a technology world lol 😀 Sounds great! 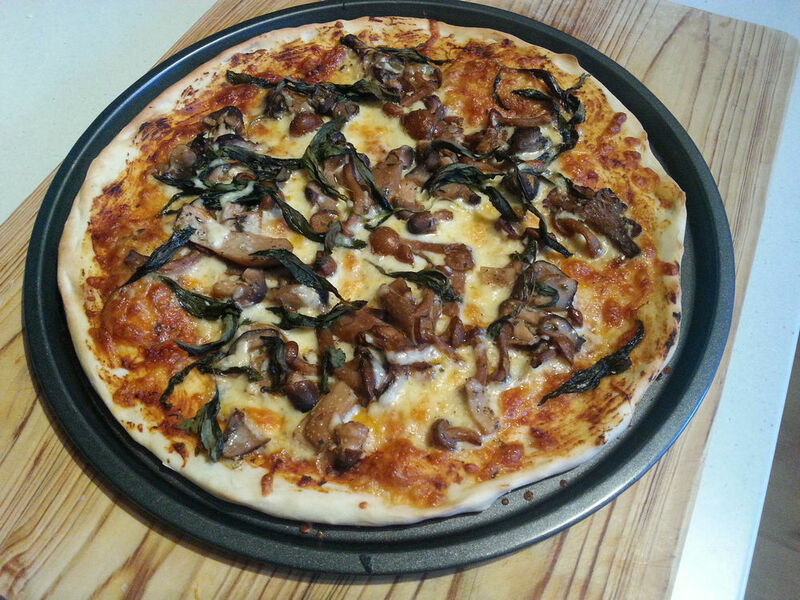 Home made pizzas are always the best because you can assemble them to your liking. This one makes me feel very hungry and I’ve just woken up!!! Sounds wonderful! The toppings are interesting, especially for the combination of mint and pumpkin. Thanks! When I tried the pumpkin, I got so surprised as to the flavour. 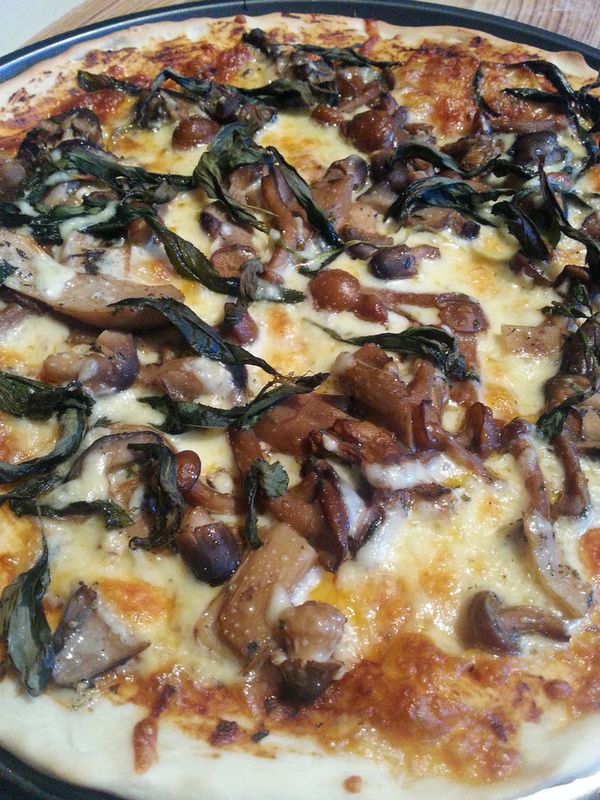 Glorious pizzas and interesting topping. Thanks for stopping by. I know the toppings look odd but they tasted absolutely brilliant.